Transforms Business Planning into a Safe AND Fun Learning Experience! 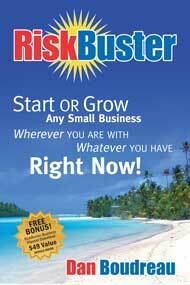 The RiskBuster™ Business Planner is a collection of business planning tools ready for you to use. This resource contains the necessary digital tools for you to successfully complete your business plan. What’s Included in The RiskBuster™ Business Planner? The Following Digital tools to help you scale the business planning wall. 4. A copy of the Macrolink Action Plans Inc business plan in pdf format. You will need to have a word processor (for The Shell™) and Microsoft Excel for the spreadsheet. To access some of these files you will need a PDF viewer such as the free Adobe Reader.